The Flying Childers - Chatsworth House, Derbyshire. 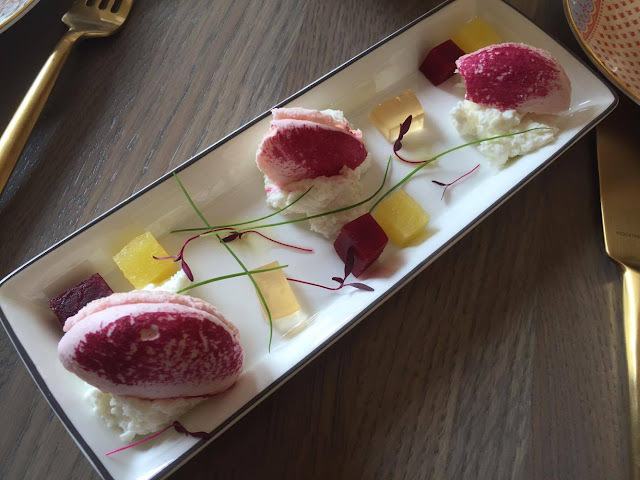 Recently, I was very kindly invited along to Chatsworth House's latest eatery, The Flying Childers. 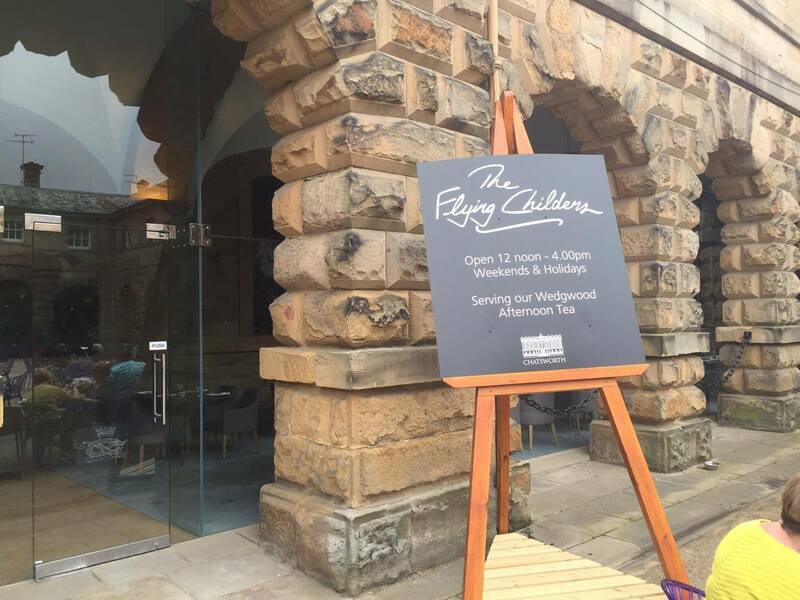 Having only opened back in April, The Flying Childers is a restaurant specialising in luxurious afternoon teas in partnership with Staffordshire based pottery company Wedgwood. 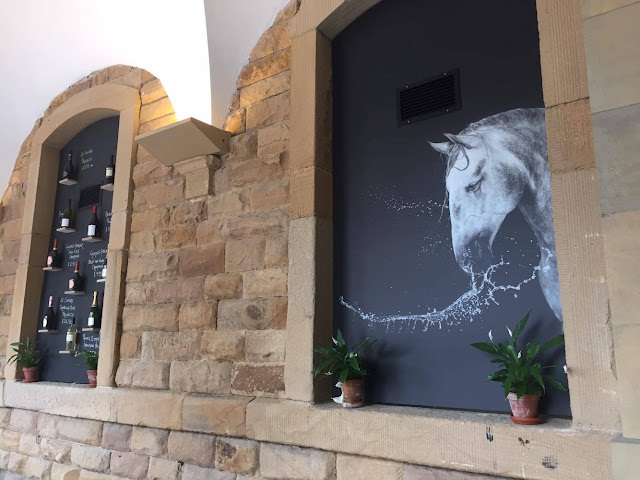 Housed in the old stables, the building is packed full of history and looks stunning with the exposed stonework. 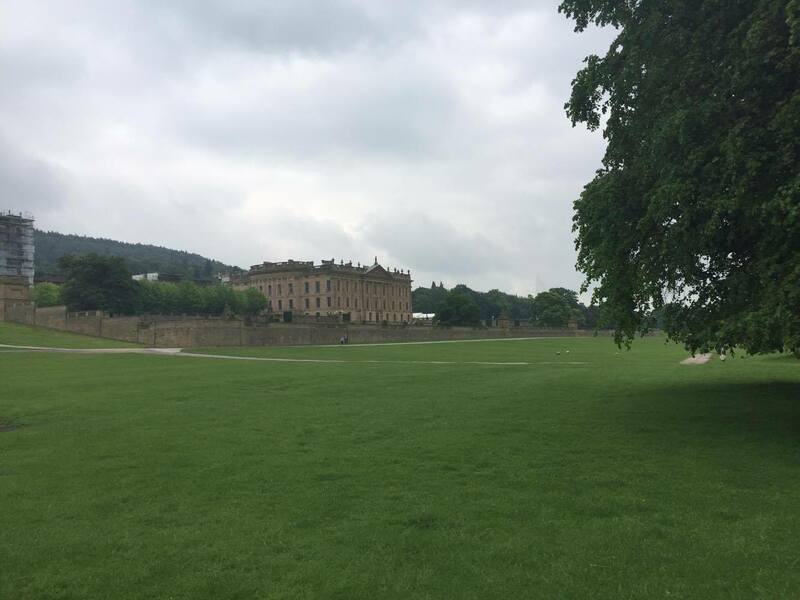 The perfect place to relax after a stroll around the grounds. 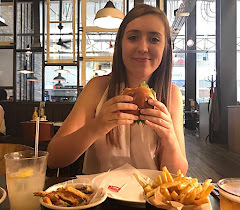 After a little confusion over the time of our reservation, we were seated towards the back of the restaurant, handed menus and talked through the days treats. 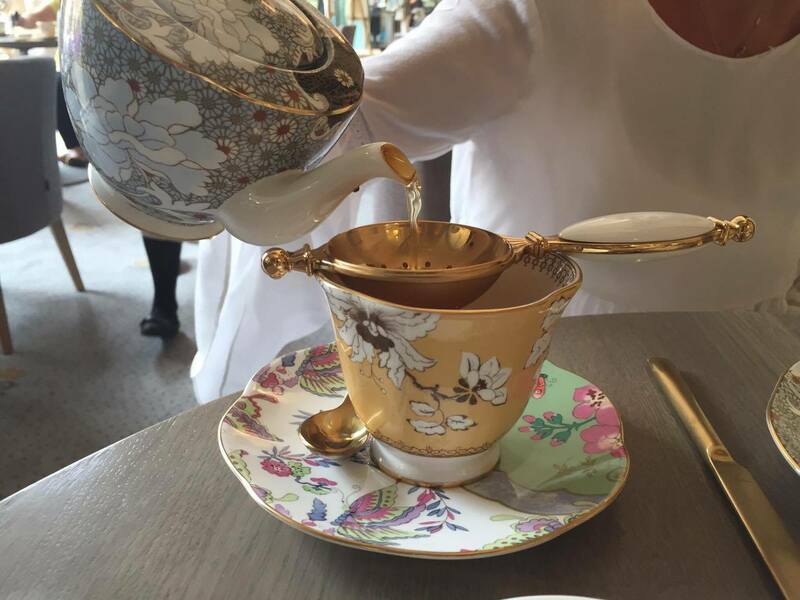 With 13 different loose leaf teas to chose from, you really are spoilt for choice. Although I don't really like tea, I decided to try the Wedgwood Original purely because it was the one which was described as the sweetest. I mean, it wasn't bad. It was just tea to me! I'm not the person to ask about all of that. The waiting on staff would top up your teapot through your time there and you can even swap to try a variety if you wish. A few moments later, we were served Beetroot Macaroon with Goats Curd. One of my favourite combinations so to me, this was perfect. I certainly wasn't disappointed. My first ever macaroon experience was a success. The Beetroot taste really came through and had a delicious sweet flavour. Crunchy on the outside with a slight chewiness in the centre. The combination of this texture with the Goats Curd (which wasn't too overpowering for all of those who aren't too keen) was perfect. Up next were a selection of finger sandwiches. There were four set fillings on the menu, however the chefs are more than happy to cater for any dietary requirements that diners may have. 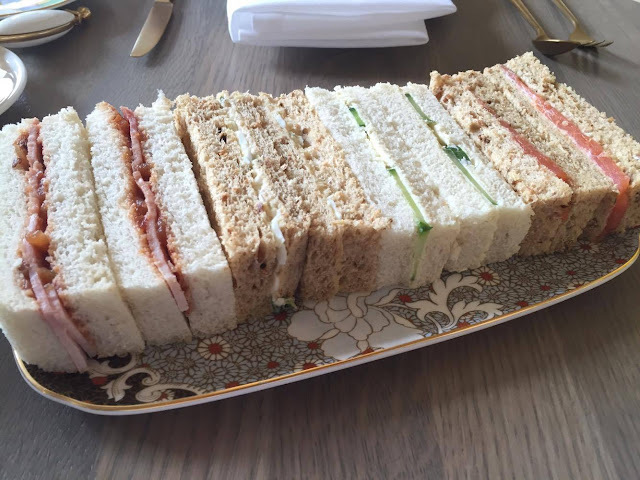 The Roasted Ham and Tomato Chutney was a personal favourite but we also had Free Range Egg Mayonnaise and Cress, Cucumber and Cream Cheese and Smoked Salmon with Dill Mayonnaise. I didn't try this one. Salmon isn't my thing. They looked so cute though all lined up with the crusts cut off. Now for the part I'd been waiting ever so patiently for! I'm a sucker for anything sweet so a selection of cakes and fancies is right up my street. The top tier of the stand contained a duo of scones. A classic fruit scone and a Stilton & Walnut scone. Both were incredibly soft and full of flavour. The Stilton & Walnut came with some butter alongside and the Fruit Scone came with the most incredible Strawberry Jam and Clotted Cream to die for. Almost as good as that in Cornwall. A selection of 6 miniature cakes followed. We were advised by our waitress to start with the Passionfruit one in the little white pot first to act as a palate cleanser. It was super sweet and creamy so a little pot like this one was a great size. I think any more would've been too much. The big blue Macaroon was Earl Grey Flavoured and decorated in the Wedgwood Blue design. It was nice. I didn't really taste Earl Grey but nevertheless, it was alright but not really my thing. The Bakewell Tart Cheesecake was divine. Even more so with it being baked cheesecake. The base contained some kind of Almond flavouring and it just seemed like a great locally themed addition to the fancies. The White Chocolate, Pistachio and Raspberry Florentine was another favourite of mine as they are three elements which I love. I wasn't too keen on the Spiced Chocolate Mousse. It reminded me of Christmas flavoured food and I'm really not a fan of that. Finally, a miniature Mint Savarin (kind of like a Rum Baba) topped with a strawberry and Gold Leaf. Overall, the afternoon tea was lovely. I think something like this would make a great present or treat for a loved one. It's certainly one you're going to remember. The experience comes in at £35 per person or £45 if you add champagne to the occasion. It's definitely the priciest afternoon tea I've had but when you consider your surrounding, the quality of the ingredients, the execution and the use of the Wedgwood, it kind of makes it feel more worth it. Take a look at what's on offer for yourselves on their website, here. 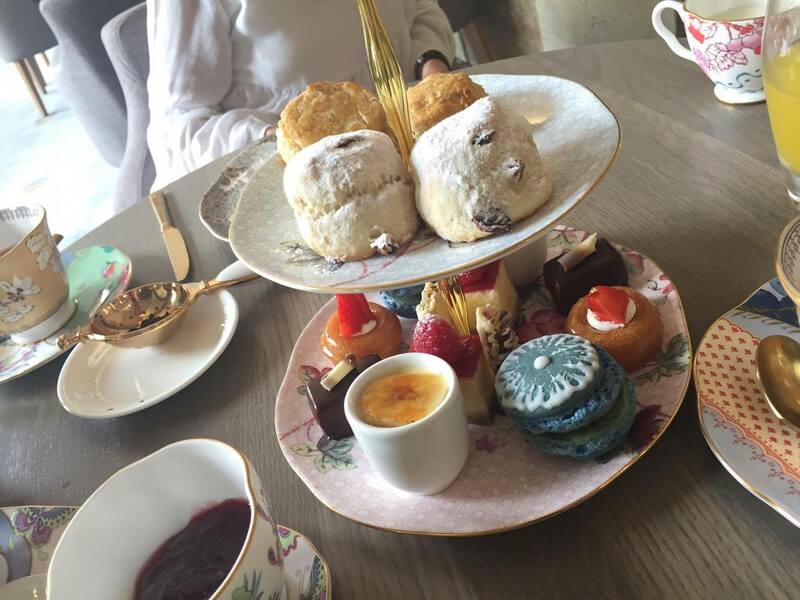 Tell me, where did you enjoy the best afternoon tea that you've ever had?